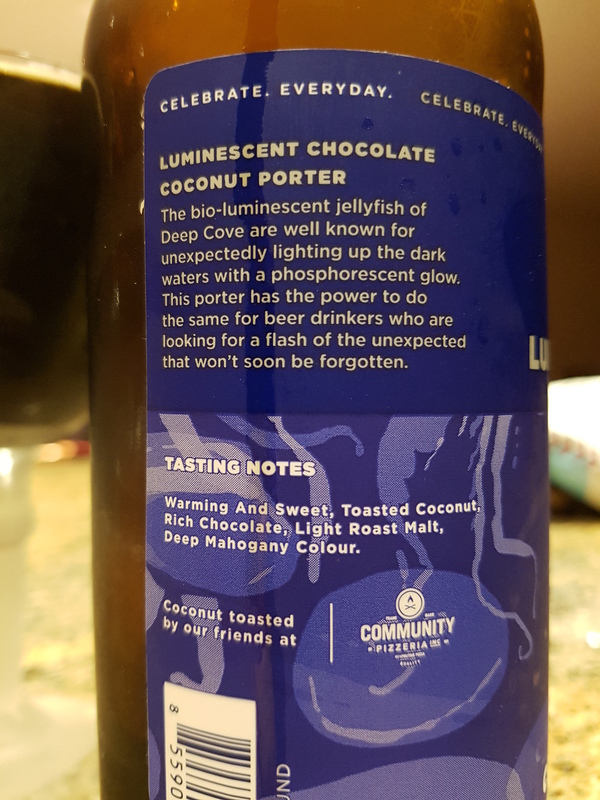 Luminescent Chocolate Coconut Porter – Deep Cove Brewers (North Vancouver, BC, Canada) | Justintoxicated. “The bio-luminescent jellyfish of Deep Cove are well known for unexpectedly lighting up the dark waters with a phosphorescent glow. 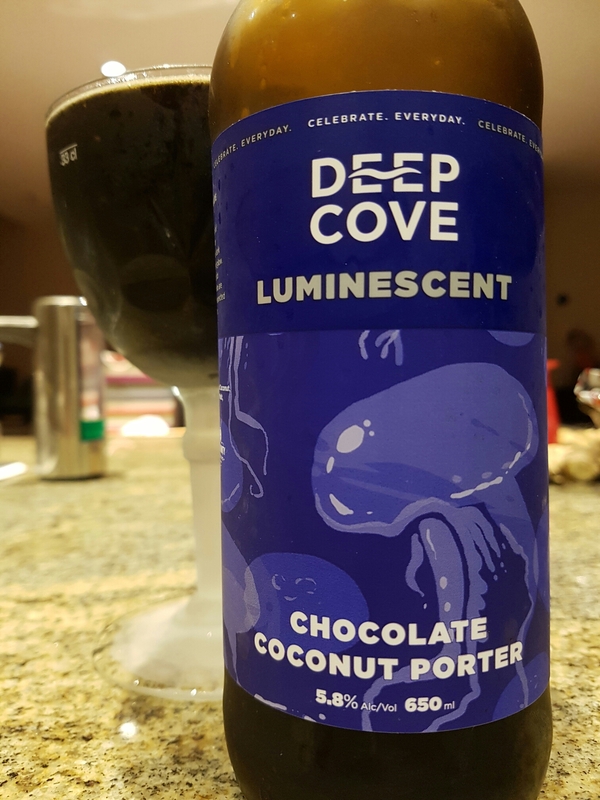 This porter has the power to do the same for beer drinkers who are looking for a flash of the unexpected that won’t soon be forgotten. Visual: Pours jet black-brown without much head, thing ringed micro retention, spread out singular steady micro streams along the perimeter. Summary: Surprisingly complex with distinct layered flavours and smooth transitions. It could be slightly less sharp and creamier, but definitely one of better porters I’ve had in a long while.